Suntory Global Innovation Center Limited (President, Member of the Board: Masato Arishiro) has succeeded in analyzing the genome of hop (Humulus lpulus) for the first time in the world in a joint effort with the Czech Republic’s Hop Research Institute, the Iwate Biotechnology Research Center, the Suntory Foundation for Life Sciences and Suntory System Technology Limited. 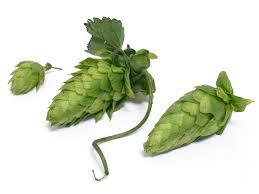 The pistillate (female flower) of hop is called a cone. It is used as a key flavor ingredient in the brewing of beer. The SIC and its partners revealed hop’s genome to gain useful information for improving breeds of hop as well as to help make even tastier beer. 1) As a result of analyzing the genome of the Shinshu Wase cultivar cultivated in Japan, the researchers succeeded in analyzing 2.1 billion base pairs, accounting for approximately 80% of the 2.5 billion base pairs estimated to exist in the entire hop genome. 2) Based on Shinshu Wase’s genome sequence, the researchers revealed the genome sequences of a European cutivar, Saazer, and a wild hop (Karahanasou in Japanese). When the researchers compared these three hops, they found different genetic sequences in over 10 million locations and think that these differences in genome sequences affect flavor and growth properties. 3) The researchers also performed gene expression analysis of the cone in each stage of growth and were able to elucidate the molecular mechanisms by which flavor compornents are synthesized during hop cone development.